The lifestyle team at L.E.R. PR is excited to see PlantShed featured on Vogue.com. 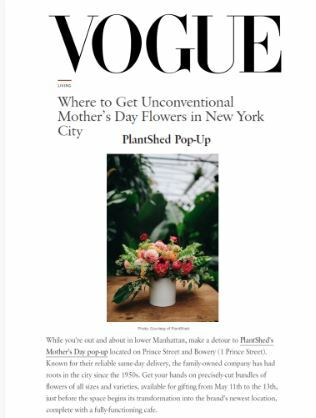 PlantShed was featured in an editorial called “Where to Get Unconventional Mother’s Day Flowers in New York City”.